Inspiration Import is a company I (Lesley Fletcher) registered many years ago. I re-registered it as a Publishing company in 2009. I have independently published my own 4 books so far under this imprint … aspiring to one day publish other like-minded artists poets and authors. My voice is that of humanity and so I have written my books to encompass emotions and challenges that face everyday people. My focus is on connection and listening and being part of a gentler world. Each of my books carry full colour illustrations with the exception of ‘5 Pillars of the Gypsy’ which includes my various artwork including monoprints, acrylics, water colours, collages and alternative art. All covers are my artwork also. Also Available in e-Book format at Smashwords, Amazon Kindle, Kobo, iTunes and all other major online book sellers. Two women from completely different backgrounds are brought together by a premonition. Each has their own set of questions, quests and bags packed for a journey to unfamiliar lands. They embark on their soul searching adventure and end up discovering the path that was meant to be in a series of luck, serendipity, instinct and intelligence. The travelling carnival is not the life Gypsy pictured for herself. Since being given her mentor’s gift of a premonition from a very young age, she has had her sights on a life far away from the one she leads. Standing in her way are two men; one who has been waiting a lifetime for her love and one who depends on her gifts for a living wage. Trusting the Universe, she throws herself into a new life when she finds the seeker who fits the premonition. She sets out with a new identity and a zest for adventure on her quest for the truth. Her journey leads her to questions she had never thought of asking. Only one thing is set in stone. She will never return to life on the midway again. Accompanying her on the adventurous escape and leading the way is a woman whose life has been thrown mercilessly into turmoil. Together they conquer goals, soul search and open their bruised and broken hearts as they travel to far off destinations. Along the way the question arises – will there be enough light at the end of the tunnel to produce lasting happiness, while being so far removed from their former lives? “I enjoyed this collection of poetry more than any I have read previously. Some of the poems are musical and had an incantatory effect on me. Leslie has adapted a beautiful style of writing poetry. She uses a bit of the traditional style and a diverse technique of writing. All of the poems are easily interpreted and many are heartwarming. From her head right to her toes. Just stay inside the water. A short, hard-hitting, comedic play. Moral decay is alive and not so well in the suburbs as well as urban area neighbourhoods. The uncomfortable feeling of laughing in the face of what is essentially murder and kidnapping propels this relevant comedy/drama. AVAILABLE ON AMAZON and other online book retailers. Nice samples..I enjoy poetry that is rhythmic and clearly understood. oh and Dorianna, I have just been through some of your poetry too – your latest was very beautiful. I have been paying attention to nature the last little while also but have not found the words quite the way you did. I suppose I should have commented on the post itself ! Left you a comment on your About page – cute joke mac windows – but it is in your Spam file. Save me will you? Thanks for stopping by my blog, Lesley, and I’m glad you liked it! I enjoyed yours as well. Have a blessed week. I did enjoy it. Thank you too for coming by. I loved your What if … post. I feel the more people expose the rest of the world and adopt some of their gentle ways the better off we will all be. Lovely page, writing and art Lesly. Thanks for following my blog and I hope you come again and chat sometime – nice to know you. I shall be back, this is all fascinating. Have a great week. Thank you Jane. I will have to give myself some time to stroll through your blog also. If I remember correctly, Morgen set it up for you in conjunction with a book launch. I hope you and you book are doing well. Hi thanks for your reply which I have only just been shown on here! so sorry. No Morgen didn’t set this up but she does publish my short stories and Flash fiction from time to time. do pop back and say hi and I will make sure I find you next time…what a pain not showing! Love your pages and often have a browse. Take care and have a great week. Oh, thanks so much for your kind words of support. As everyone, I try! Lesley, I nominated you for the Reader Appreciation Award because I love reading your blog: http://ladaray.wordpress.com/2012/09/22/award-party-on-lada-ray-blog-beautiful-new-photos-of-russia/ Check it out (includes great new pics of Russia)! That is an impressive set of achievements! Congratulations! 🙂 ahhh thanks Madhu. Life is a job I can enjoy! thanks for coming by and for your sweet words. Thanks so much. It is a lot of hard work being an indie writer and publisher but I am proud of myself for hanging in. I wish you much success in your quest. If you want to self-publish then this is the time. Although there is loads of competition, the gateways are abundant with information and guidance. Wow! I am impressed. Thank you very much for visiting my blog. thank you so much for visiting my blog Lesley, very nice. Excellent Les! I was just thinking about a new book for my table. Thanks Johnny – I just came across you on Twitter too 🙂 I guess we will be seeing more of each other. Nice to meet you! Lesley, I followed a link in one of your comments and landed here. I had no idea that you wrote children’s books! I love your writing style and want to read one, which one would you recommend first? Woman to woman I can recommend ‘5 Pillars of the Gypsy’ because it will have the biggest impact on your life personally. It is now available in e-book format which I am happy about because it opens up options. Now, if you have a child at the grade 2/3 level and want to share the customs of Islam and how being in a Christian culture affects Muslims – All I Want for Christmas is a Wishmas Tree is perfect. It just sums up family, friendship, and the link between the two biggest religions. Your choice Donna – Thanks so much for coming by. I will message you Hey Angel! in PDF for fun. I actually love all my books 😀 hahaa! Can you tell? you are so talented. glad to be your follower. Thanks for coming by Mark – and especially thanks for your lovely comment! I wish you well also. Wow! My friends keep telling me I should publish my blog as a book one day. Who knows, I may be knocking on your door when I’m ready! 🙂 A book about Spiritual World Traveling… yay! and Tah Dah! a way for you to sample your own work without breaking the bank. I will check them out for sure! I’ve nominated you for the Beautiful Blogger Award. Click the link for details if you’re interested. Already been there and thank you very much – I am completely honoured. You’re welcome, and very on top of your blog reading. Hi Lesley, I came to thank you for visiting my blog, and realized that I think I have followed you on another blog? Could it be? Your post here sounds so familar yet I do not have you as one I am following. I am perplexed. No matter, thanks so much for sharing with me. Blogging has been a very cool find for me. I appreciate reading the works of others, and adore the comments I receive back and on my own blog. Hi, Yes it is possible you are following http://journeyofthegypsy.wordpress.com which is where I am providing a back story to my latest book, posting poems and art from it. I do all of my commenting from Inspiration Import but perhaps you were somehow led there, initially. It can be quite an elaborate web sometimes! I have seen your comments around quite a few Blogs that I follow so I am certain our paths will cross again soon. And, I am now following yours via email as I find my reader is ‘confused’ most days (daze). Who would have guessed that meeting people in this virtual way would be so satisfying? It must be your other blog, it sounds really familar, yet I still must not have followed it as I’m not receiving alerts. I’m surprised that I did not. Thanks again, we will defintely run across one another. Lesley, I know I visited this page earlier because I Liked it! I don’t see, however, where I left comments. Congratulations on wonderful reviews. I do love your writing and enjoy your posts immensely. My book wishlist is growing by leaps and bounds! Wonderful and so appreciated, thanks so much. I feel the same about your posts. I am looking at my notation as I respond. Blogger World is a bit busy sometimes! I have nominated you for The Very Inspiring Blogger Award because the love that emits from your work warms my heart and your path is an inspiration for me. Stefanie – the love you send to others and the support you show has given me a sign that humanity is alive and well around the world and down the street. Thank you so much for your generous words and nomination. Wow, Lesley – you find be speechless due to your beautiful heartfelt words. … So I send you a warm smile and hug you back. Really enjoying your blog. I linked to you from today’s post at soulsnet.com “Why should I keep my mouth shut?”. Am sure my readers would enjoy your blog too. A new fan! Thanks for the inspiring blog! Yay! nice to meet you. Welcome Angel. How generous of you to say that Tom, thank you so much. I have been overwhelmed with the support, talent and inspiration here on WordPress and so thrilled to make new connections too. WELCOME! Thank you for subscribing to my blog. I hope you are encouraged, inspired and enjoy the photos I take of everyday life and events as I journey through my retirement years. Thanks for your strong message of JOY – It is my pleasure to meet you too. Thanks Deepa and welcome. If you need any guidance in Independent publishing, I will be happy to help. I am blogging many of the poems from my latest book on my other WP site at http://journeyofthegypsy.wordpress.com – when you have a bit of time, I invite you to head over. I just try and remember to check back for responses. They need to fix that and have a private messaging system. Oh well. It would be good just to be informed if a comment was made replying to only your own. Better days ahead on this tech matter. Yes indeed, see I had to come and see your reply. lol Have a great weekend. Loved your blog thanks for leading me here….so very interesting. Thanks for visiting mine as well….do pop back and comment if you like anything I come up with and in the meantime I shall keep an eye here too. Good luck for your all your projects. Thanks for your good wishes Jane – Welcome here. Yes we will see each other around. I look forward to it. Beautiful blog and I’m now following! the poems are really lovely! I love your Blog and your poems..very nice! Should I call you CJ? Thank you for the like and the blog follow, humbled greatly! I am new to the possibility of self-publishing and it warms my spirit to see so much success in others! Have a wonderful day! Great ! There is nothing like holding your first book in your hands and smelling it and kissing it 🙂 My pleasure to follow you and your work. If you need any guidance please feel free to email me. I will be away for the next couple of weeks but after that I will be available. well, consider yourself “released” 🙂 safe travels and thank you for the offer! Nice to meet you too Linda. Looks like you have the same problem as I do with Askimet Spam filter as your comment ended up in my spam folder – NO worries as I have released you ! Hi Lesley, thanks for liking my post. Good to see a fellow self publisher in the ether. What as lovely blog, Lesley 🙂 Just discovered it through a reblog on 1EarthNow blog by Maddy Walsh. Subscribed! 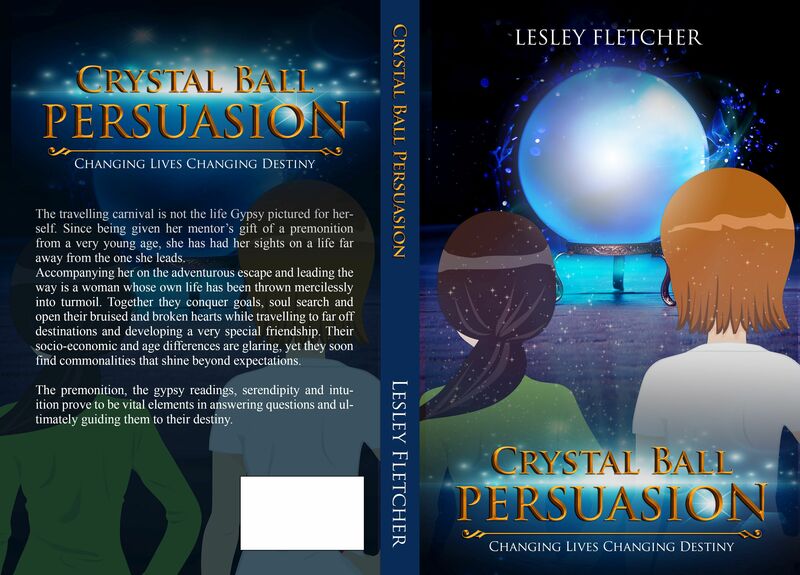 Lesley thank you for your visit and liking Mystical Forest, I wanted to tell you I received % pillars 2 days ago and I am on my second or third read on certain ones. Your art work is fabulous. Thank you so much for sharing your beautiful talents with all of us. Have a blessed beautiful day my new friend! It was my pleasure absolutely. Many thanks for your kindness. Can’t wait for you to read about the Mighty Unicorn ! Hi Lesley, a lovely blog you have here. Your art is striking. Thanks for stopping by Writing Between the Lines. It is always good to connect with another writer. I look forward to learning more about you. Just because You Are Loved! Thank you Lesley for stopping at my (abut) .It is nice to hear from you. thanks for the helping url you left in my blog about rhyming dictionary. God bless you! it may become quite a thing for me. yet to explore it. You are very welcome. There are a few! Who knew? I will use it myself if I get stuck. Congratulations on what looks like a fine body of work, your initiative, and good luck on your goals – most worthy – Good luck with your blog as well. I see it’s a new effort. Look forward to more from you. Oh, thanks for the warning. I’ve seen this happen before. I just left a comment for you Jamie – on musingbymoonlight 🙂 You know where to find it! Hi Lesley, thanks for following my blog! I am only on WordPress since December last year, so I am a bit amazed that, including you, 151 people have subscibed by now. Thanks for stopping by Laura 🙂 – yes WoW ! Thank you for following my blog, and I wanted to tell you that I think your poetry and art are lovely. AH! I have no idea what I’m doing! lol. So sorry. I just created this blog yesterday. I support ! Very exciting. Thanks for the follow, Lesley! Wonderful website – following you, too. Thanks so much and thank YOU for coming by. Te work involved and the learning curve has proven to be far more complex than simply writing, publishing and getting the word out. Fortunately I believe there is a swing happening as we speak allowing for change. There are good books for pretty cheap on Amazon on how to publish and get publicity for your book. 🙂 always great to meet new – like minded people. Welcome!